Magnus Carlsen set the tone for his first ever Banter Blitz at the start, referencing a game from 11 years ago, quoting both the first World Champion Wilhelm Steinitz and Meat Loaf, and going on to win smoothly in 19 moves. In this recap we take a look at the eight games he played, and won, which you can also replay with computer analysis. 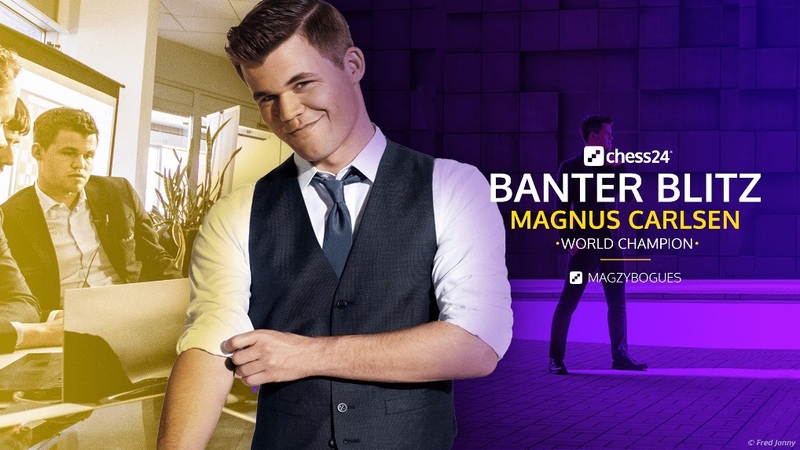 If you missed out, don’t worry: Magnus is back for more Banter Blitz twice this week! 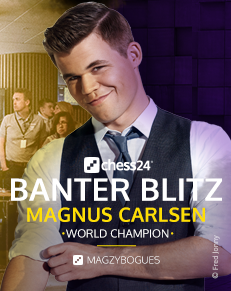 Although Magnus has of course played on chess24 before (most infamously when he beat his second Jan Gustafsson incognito during a 72-hour Bantherthon), with his new username of MagzyBogues at the time of writing he’s played just 14 games - the 6-game match against Peter Svidler and the first Banter Blitz session. It hasn’t been going too badly! It’s traditional to have some technical hiccups at the start of a Banter Blitz session, and this was no exception. Magnus had to make a late change of computer to solve an issue with the webcam, was playing with just a trackpad, had some trouble scrolling to see challenges and we see the board from his opponent’s perspective until he flips it after about 3:45 minutes… but there was no issue with the World Champion’s chess or chess culture! Generally I’m not a believer in such, I don’t know what to call it, uninvited violence. Usually I believe in what Steinitz says about attacking when you have the advantage and so on, but I suppose we’re here to entertain, so why not! Carlsen was choosing between the two moves he felt were intuitively correct – 16.Bh6 or 16.Bf4, but there was an instant destroyer: 16.Rxd7! and White is crushing however Black recaptures. 16.Bh6 got the job done quickly anyway, though, since instead of giving up the exchange with 16…g6 Black played 16…Ne8? and after 17.Qxa8 Qxh2 18.Qh1 (“just for fun!” – Magnus) 18…Qxh1 19.Rxh1 resigned a full rook down. I had this against Caruana – this can also come via the Petroff, if White loses a tempo on d3-d4, so that’s how I got it against Caruana. I started playing this line after seeing a great game of the Armenian grandmaster Melkumyan. He won a very nice game in the Turkish League against Moiseenko, and after that I thought I might as well give this line a try. It’s a sad truth of internet chess that however small the incentive some players will still spoil things by choosing to cheat, but in this case there was at least a positive to Aleksandar-K’s misdemeanour: we got to witness how the World Champion’s endgame technique is a match for Stockfish! I played one of my better games as a kid against Dolmatov with this line – won a miniature. These guys really have no respect. It’s a good thing, though, you shouldn’t be scared of me! That was borne out here, where according to our internal system Magnus played 54% of engine first moves compared to 62% for Black, but 89% of his moves were in the top 3 compared to 82% for Black. Needless to say, Aleksandar-K was swiftly banned from the Playzone. He’s playing quite bravely, I must say. I’m not sure how good his position is, but I cannot argue against his will to attack! The question is, will I take the easy win with Qf2+, or will I go for mate? I have to go for mate, don’t I? One of the appeals of Banter Blitz is that you get the chance to see how top players actually think in real time, and here we saw Magnus look at one of the fastest mates: 19…Rxf4+! 20.Nxf4 but then abandon it after checking only 20…Ne5+. The key move was 20…Nh2+! 21.Ke3 Bd4# Magnus instead commented, “Sorry, people, I’m lazy!” as he went for the mere mate-in-5 option of 19…Qf2+ 20.Kxg4 Qxg2+ 21.Ng3 h5+, when White resigned. And now he’s begging me to go Bxh7, and I’m not going to be asked twice. Everything that I know about chess tells me that this particular attack must win. This is something you should always look out for when you’ve allowed an early e5 – Bxh7 is always in the air, but it’s something you learn with more experience. 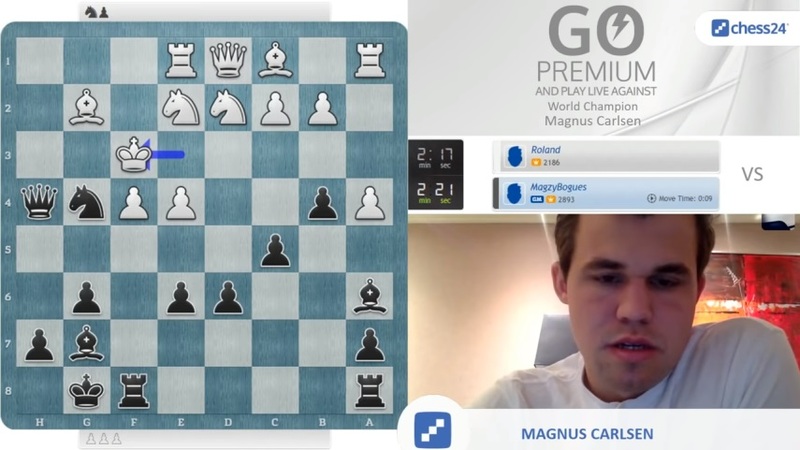 Magnus has short-term memory recall as well, and noted that on move 4 his opponent chose not to repeat what Magnus himself played a couple of games earlier! This is a bit funny that we got the same position as I had against Roland earlier. Evidently, Cicero either didn’t see that game or feared that I may have an improvement planned, because he didn’t play my c5 – he went for Nf6 and 0-0, which is obviously quite sensible as well. He called 17.Nf4! Ne5 18.Nxh5! “a pretty nice attack”, and after 18…gxh5 Black’s position crumbled fast. Ignoring the knight with e.g. 18…b4 would give more chances of defending. 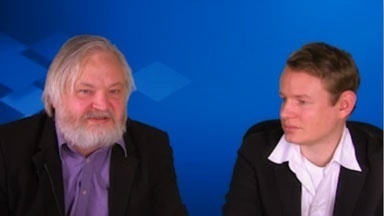 “Babyseal, that’s a cute name”, commented Magnus, before going on to play the Sicilian Dragon and batter the defenceless animal to death, is a rough summary of this game… although it was only after a slip on move 16 that everything fell apart for White. Supergrandmasters struggling for ideas against Magnus might note his comment on seeing 1.e4 c5 2.c3 here! It’s an old nemesis of mine – never was very comfortable playing against the Alapin. 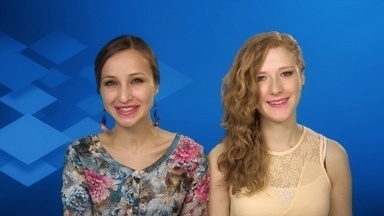 15…Nd4! and after 16.Rxb6 (16.cxd4 Qxe6 is even worse for White) 16…Nxc2 17.Bxc2 axb6 Black had won an exchange. 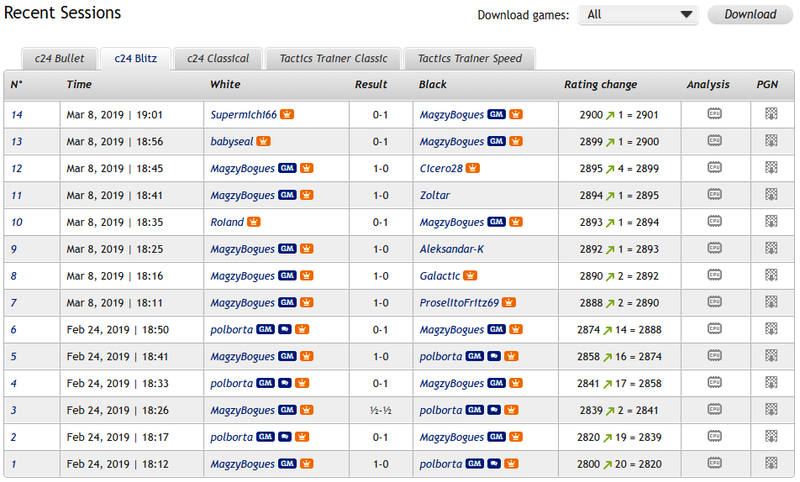 Another slip accelerated the end, and Magnus went on to make it a clean sweep of wins in his first Banter Blitz session. He commented at the end, “for all of those who challenged me and didn’t get the chance you will get another chance, so don’t worry,” and that chance is now fast approaching! Wait, enjoy the show, and if you’re picked you should be taken straight to the game!